Announcing a once-in-a-lifetime opportunity to revive the House of Tomorrow, an innovative World’s Fair exhibit house that predicted in 1933 how we live today. 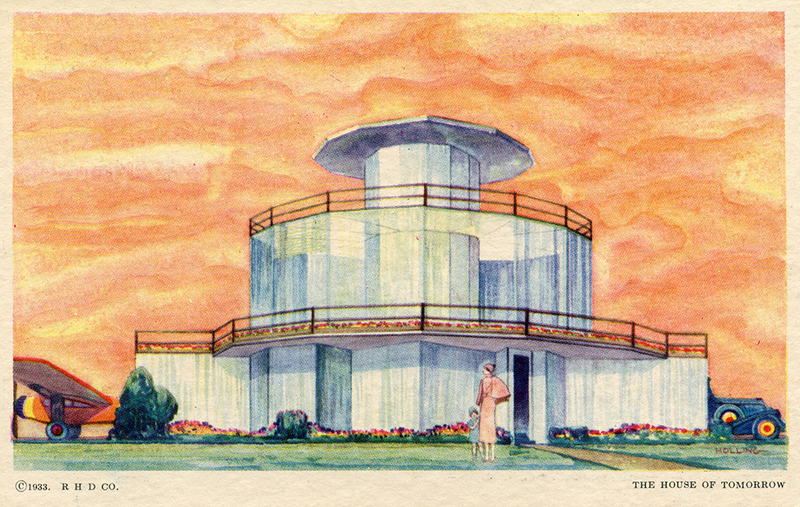 In the depths of the Great Depression in 1933–34, the House of Tomorrow at the Chicago World’s Fair offered millions a hopeful vision of a brighter, easier future. Chicago architect George Fred Keck designed the House of Tomorrow to inspire fairgoers to want what they saw: a modern home with floor-to-ceiling glass walls, central air conditioning, an innovative open floor plan, the first General Electric dishwasher, an “iceless” refrigerator, an attached garage whose door opened at the push of a button, an attached hangar for the family airplane. Titled the “Century of Progress,” the fair drew 39 million people to see how advancements in science and technology could improve daily life. 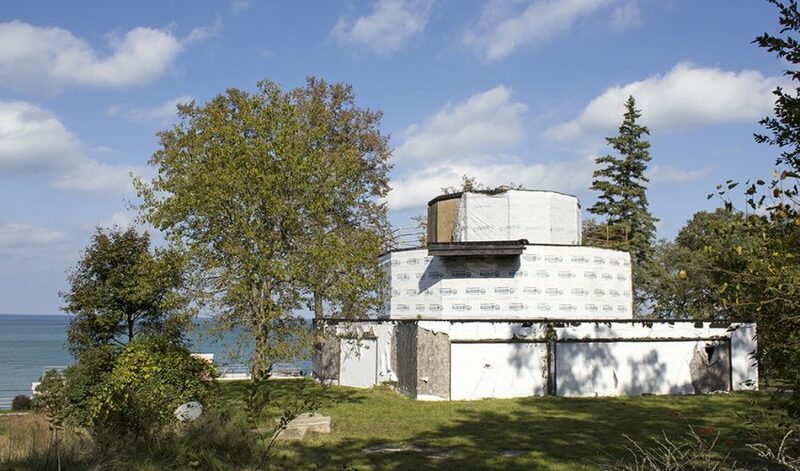 Very few structures remain from the fair, but five exhibit houses, including the House of Tomorrow, survived and traveled by truck and barge across Lake Michigan to Beverly Shores, Indiana. The houses remained in private hands until the land they occupied became part of the Indiana Dunes National Park in the ’60s and ’70s. 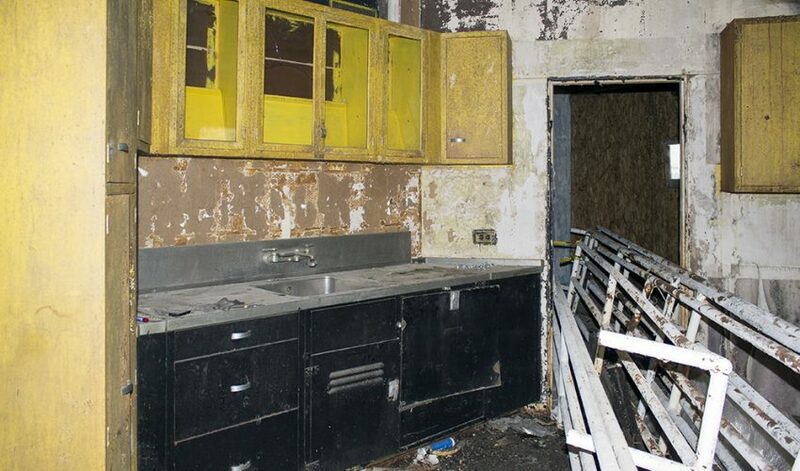 The houses were deteriorated until Indiana Landmarks leased four from the Indiana Dunes National Park, then sub-leased them to tenants who restored them. 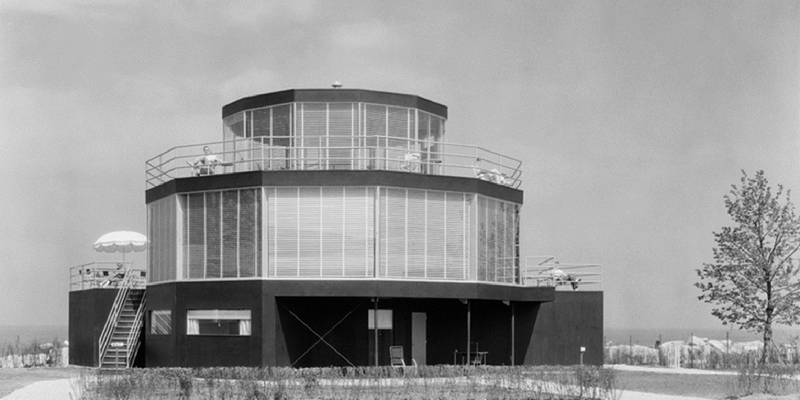 The House of Tomorrow—the most architecturally innovative and historically significant of the collection—has been vacant since 1999 and needs rehabilitation that will cost $2.5 to $3 million. Media in the ’30s called it “America’s First Glass House.” It predated Mies van der Rohe’s Farnsworth House and Philip Johnson’s Glass House by many years. “The House of Tomorrow…is one of the true early monuments of American modernism, brimming over with a uniquely American idealism and earnestness about the twentieth century,” declared noted architecture critic Paul Goldberger, a contributing editor at Vanity Fair. To help save it, the National Trust for Historic Preservation on October 19, 2016, designated it a National Treasure. Of the 80-plus National Treasures in the U.S., the House of Tomorrow is the only one in Indiana. To prepare the House of Tomorrow for timely restoration, Indiana Landmarks collaborated with the National Trust to retain a respected team of architects and engineers. The design team has developed plans— approved by the National Park Service—to return the best of the 1933 Keck design while incorporating modern technology and conveniences to make the home livable in the next century. The House of Tomorrow today. 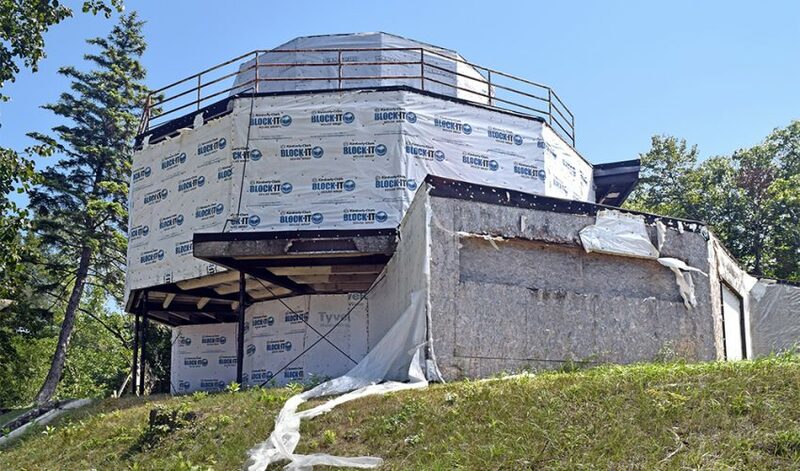 Building on our successful partnership with Indiana Dunes National Park in saving four other “Century Of Progress” homes, Indiana Landmarks is accepting proposals for the restoration and long-term lease of the House of Tomorrow for use as a single-family residence. In exchange for restoring the house to the approved specifications, the successful party will receive a 50-year lease on the property.